The Phase I ESA process can be intracite to newcomers. For more information or to inquire about your property, contact us today. Phase I ESA information you can actually understand. 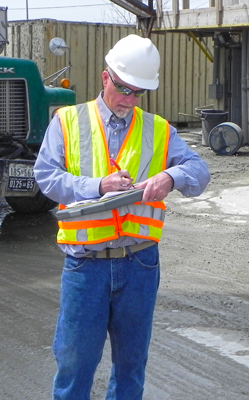 We've found many of our customers need help understanding the basics about a Phase I Environmental Site Assessment. Whether they need information about the process or just want to get to know the basics, we've been there to help. We strive to educate our customers to help them decide on the best course of action for their Phase I ESA needs. Explaining the Phase I Environmental Site Assessment process. A Phase I provides protection should an environmental issue arrise. Meaning, you're protected should an issue arise. No one wants to be caught, or can really afford to have a contanimated property and get handed a bill by the government to clean it up. Phase I Environmental Site Assessment price quotes. If you're already educated and are stritcly looking for a price, click here for a Phase I Environmental Site Assessment price quote. Our services allow you to know your property is free from environmental liabilities that could cost you very real time and money. With a Phase I ESA, you'll know you're making a sound investment. Get Phase I ESA help today! Don't worry, we don't share this information with anyone, ever.